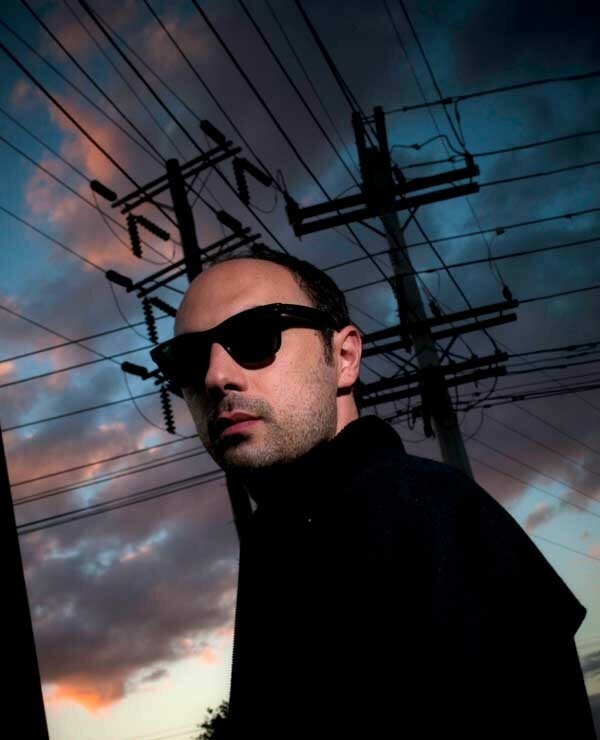 Much has changed since Gianmarco Liguori stood alone in a public phone booth on Auckland’s North Shore in late 1997 with an international calling card in his hand arranging contributors for Regain The Lost Conversation, a new song compilation on Sarang Bang Records that featured an array of US indie stars. The Auckland indie label that the Italian-New Zealand musician has steered since 1996 has shifted format from cassette to vinyl to CD to digital download and back to vinyl. Liguori’s musical focus also moved from indie guitar sounds through driving atmospheric instrumentals to cracked jazz and in recent years, efforts with renowned keyboardist, composer and arranger Murray McNabb. Sarang Bang Records recently began the resuscitation of classic 1960s and 1970s New Zealand-related jazz on vinyl, starting with Bernie McGann’s live recordings from the 1960s. What hasn’t changed is the challenging instrumental music that Liguori’s central group Salon Kingsadore and his solo endeavours have consistently provided. Gianmarco (Marco to his friends) is a modest and unassuming chap. He’s also highly determined and focused. Sarang Bang Records is now well into its second decade and yet to run out of ideas or steam. 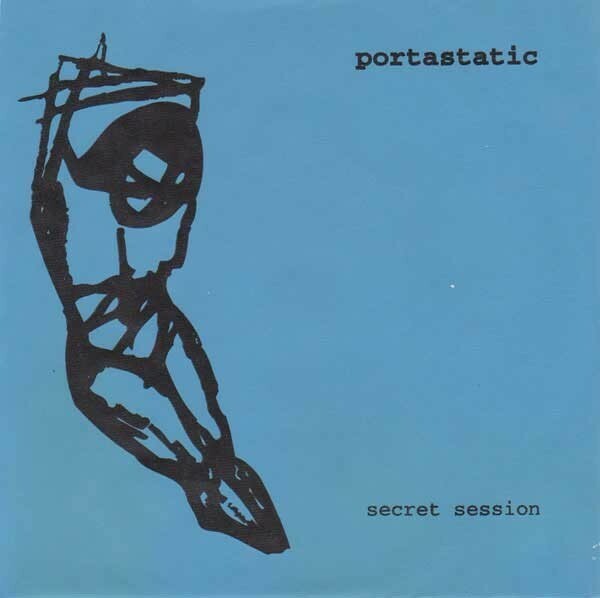 The 1997 double A-side 7-inch single from Superchunk vocalist and guitarist Mac McCaughan’s solo project Portastatic and North Shore band The Landing, featuring Sarang Bang label owner Gianmarco Liguori. Pressed in red vinyl, the single was a limited edition of 330 with a hand screened cover. The North Shore guitarist and composer caught my attention first as a young music fan in the late 1990s, in Crawlspace Records on K Road. 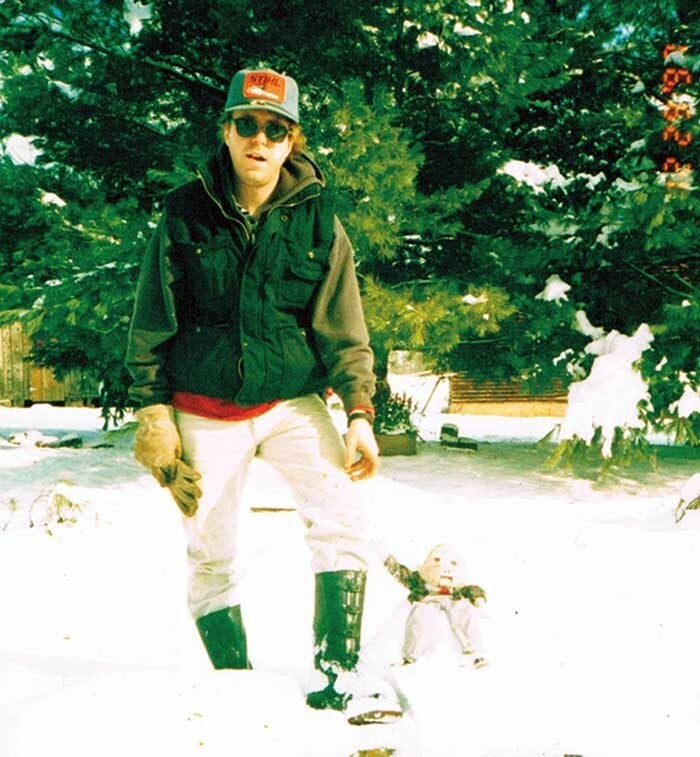 He’d just released an impressive tape of recordings from his mid to late 1990s band The Landing and a split single with Merge Records and Superchunk founder Mac McCaughan’s solo project Portastatic on the other side. Both were on his newly formed Sarang Bang Records label. The Landing were a group of school friends from Westlake Boys High School and Takapuna Grammar – Liguori, Roxy O’Neill, Ponch, Matt Sandford, Matt “Woody” Woodside and Andrew Thomas. 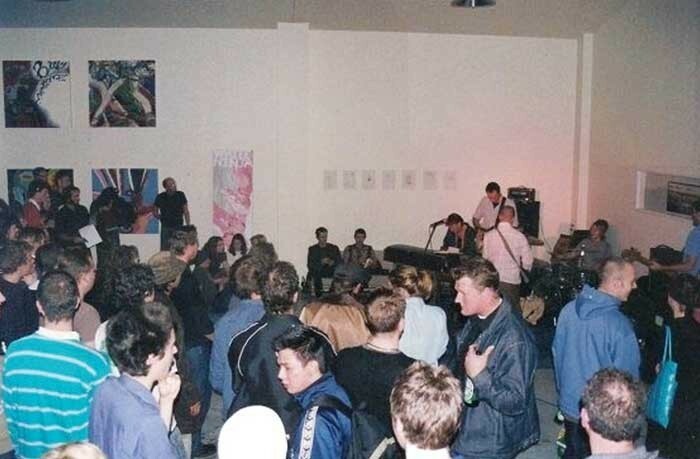 The 1990s were an exciting time for indie fans in New Zealand. The flow of information and music, so inhibited in the first half of the 1980s, was now an open faucet. Many of the movement’s best American groups, including Sonic Youth, Pavement and Yo La Tengo, swept through the country and the local scene was kicking hard. Societal attitudes towards the creation and fostering of new sounds changed almost as much with strong government support available. Soon enough the result would be a glut of homegrown rock music. 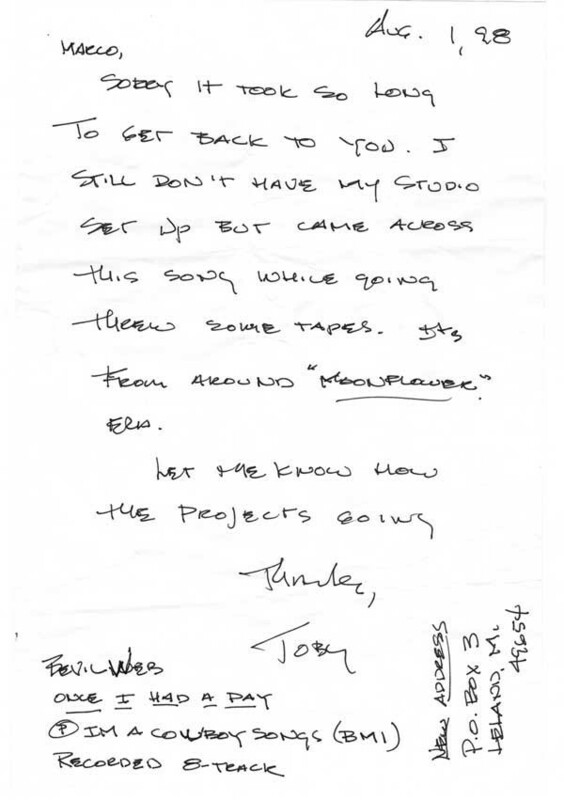 Guided By Voices' Tobin Sprout writes to Gianmarco. His track Once I Had A Day, under the name Bevil Web, appeared on the 1998 compilation Regain The Lost Conversation. 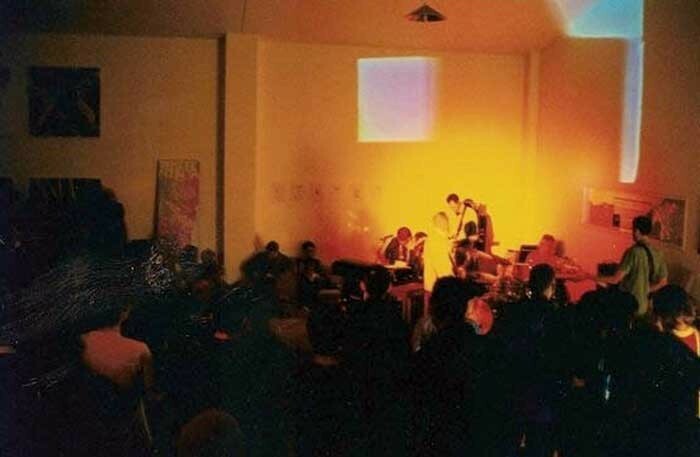 It was that international indie outburst and the New Zealand response that Liguori drew on for Regain The Lost Conversation (reissued in 2005). There’s the stripped down folk of David Kilgour’s ‘Chipping Away’. Tim (AKA Tim Teen) Lewton’s best song on record at that point, the sunny rock shuffle ‘On The Footpath’. It also contains Birkenhead’s The Remote Controls with their space rock wig out, ‘Light Years’, the guitars overdriven and post-punk angular. The Landing chipped in a haunted take of Love’s masterwork ‘The Red Telephone’ and the country-ish Nudie Suits contribute ‘Your Golden Throat’. 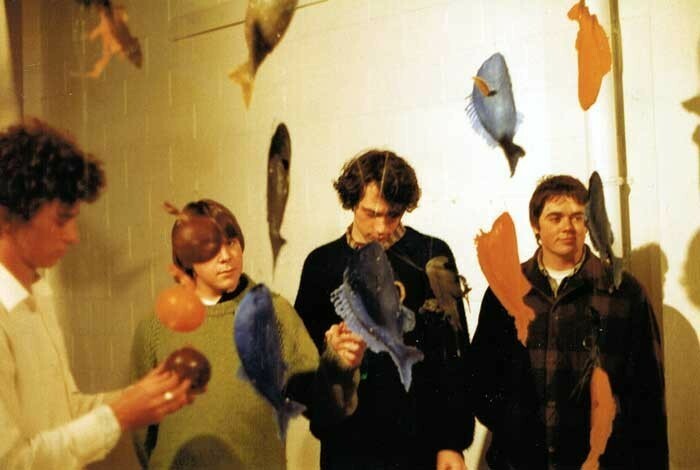 Not as well known are The Metro-Gnome Signal’s ‘A Satellite Until...’, ‘Pacific Racer’ and the snowy surf instrumental ‘Northern California Christmas’ – all early Liguori recordings and a strong hint of what was to come. The New Zealand contingent is rounded out by Moonpopper (Darren McShane, owner-operator of Earwig Studio and a member of Chainsaw Masochist, Figure 60 and these days, Superturtle) Earwig Studio recorded ‘Free Ride’, Dunedin’s Alpha Plan with the filmic ‘Estuary’, the architectural sound of Lapdog with ‘Un’ and Dating Godot’s southern gothic ‘Death Bedroom Scene’. 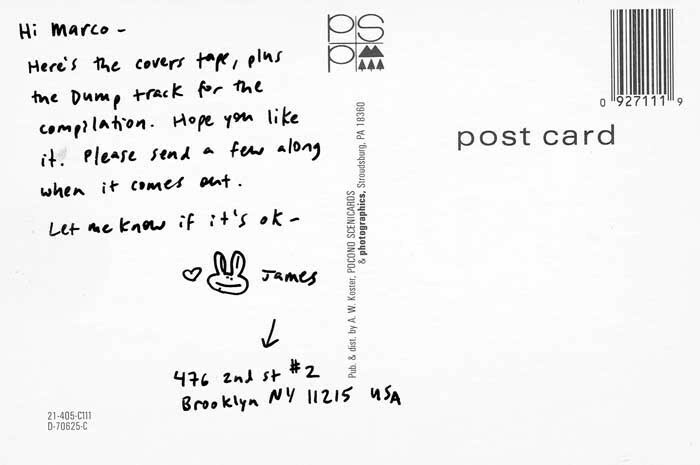 The New Zealand tracks were supplemented with offerings from US performers. New York’s Red Soda; Guided By Voices’ Tobin Sprout as Bevil Web with an outtake from his Let’s Welcome The Circus People album; and Laura McFarlane, who played drums in Sleater Kinney, with the Melbourne-based Ninety Nine. James McNew (Yo La Tengo)’s Dump brought it closer to home with a deft reading of Bill Direen’s ‘Girl At Night’. With The Landing’s members casting off for different projects and overseas, Liguori went quiet for a while before hooking up with John Guy Howell, a guitarist and singer, who had come to some prominence in Dunedin’s Tin Soldiers. 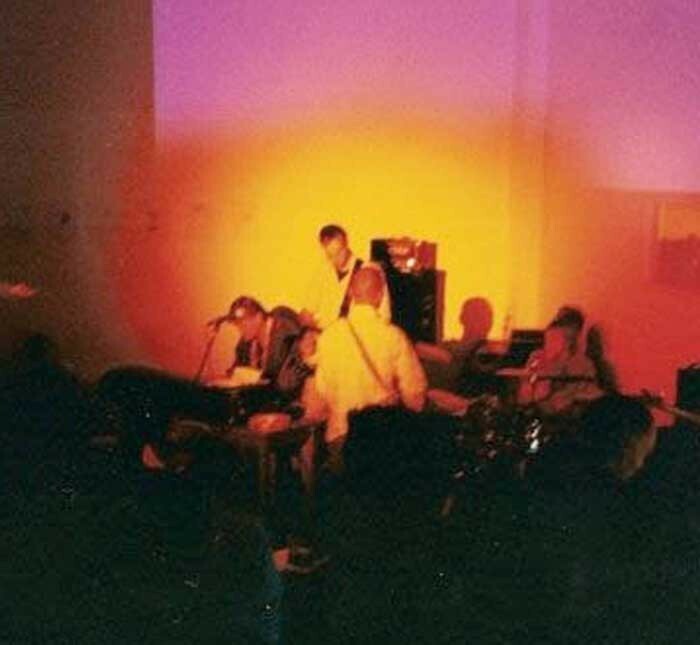 The Otago Boys High group were Smokefree Rockquest finalists who released the Andrew Brough-produced album Hell Of A Time on Pagan Records in 1992. Gianmarco Liguori, 2008: “Salon Kingsadore is definitely a big part of my creative life. We started in about 2000 with John Howell and Matt Sandford. We got together to do some spontaneous music for a play. I personally was being influenced by a lot of soundtracks from the 1960s and 1970s and that came through in what I was doing. We were coming from different angles. The Flaming Morricone CD EP appeared in 2003 with the group line-up stabilised around Sandford, Liguori and Howell with two newcomers, Auckland-based US keyboardist Billy Squire and bass player Hayden Sinclair, who’d been in a rival Otago college band to Howell’s. In time Sinclair would add website and marketing expertise to the Sarang Bang label. The label was Triton Music, who did all the Naxos classical releases. 28 December 2003. The final mix of the album titled simply, Salon Kingsadore, is in the deck. Nine songs. All instrumental. No words needed. An album of sweeping guitar vistas and neat tight urban moves both; a new kind of road music for a new millennium. Billy’s Rhodes spilling out the car’s windows, Hayden’s bass taunt, economic, soulful, Matt’s marching band snap, John’s classic pop instincts and Marco spiralling out the gaps. Key track ‘Harrison’ had December’s Staple gasping for adjectives. Those who heard them at the Grey Lynn Festival and the Pulp party in late November heard them in their ideal environment. Wide open spaces. 20 January 2004. Marco has the sound up loud. He’s excited. bFM are playing ‘Ski Jump’, a standout song from the first album. He’s just crested K Road, stereo cranked, drum and handclap intro building, bass stepping up, now, he’s rolling down New Zealand’s main street. A cooling onshore Waitemata breeze nudges back high summer and flaps the green leaves of the footpath trees like banners in the bright summer light. Marco’s maraca guitar is talking, lotsa shimmer and shuffle and spiralling melody, flaring like Antonio Carlos Jobim with a wah wah pedal. 29 April 2004. It’s starting to come – the opinion, the play – Andy Welch’s richly coloured Kiwiana video of ‘Romanced’ on C4’s Homegrown, the strongest music show on TV. Host Clarke Gayford scatting out. “Wiggy psych wash, jazz, classic guitar pop, blues and salsa.” Good notices in RipItUp, Metro, New Zealand Musician, Sunday Star Times and New Zealand Herald. 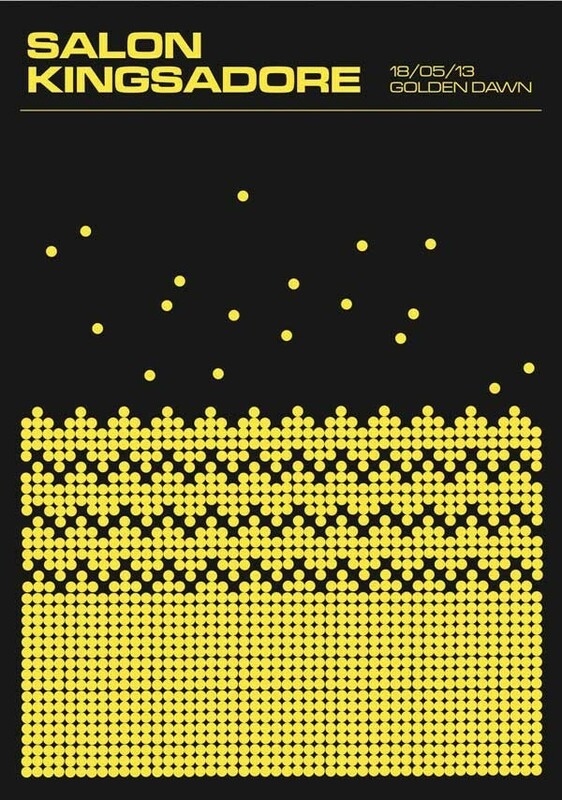 The Greg Hodgson cover (influenced by Saul Bass) has two intersecting strings of shrinking coloured beads on black. No picture of the group to distract. 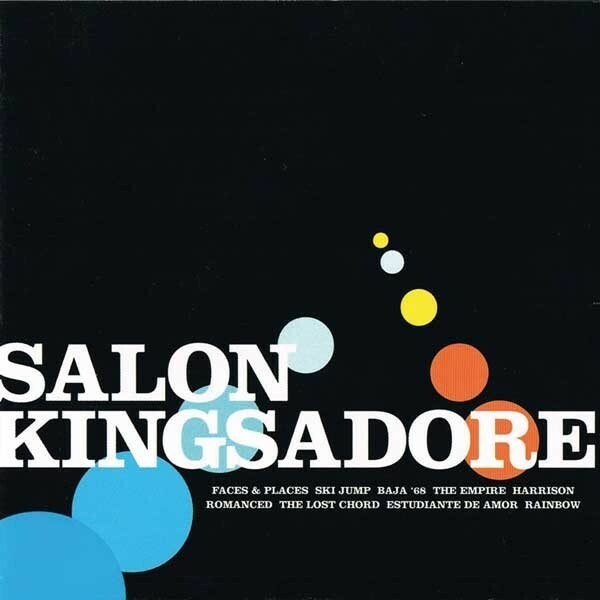 Just Salon Kingsadore, and the songs in small white letters, simple, but there’s an otherworldliness about it, like the music. I’d seen Marco every week the previous year with a new album, often a new sound, in his hand. American jazz, Latin music, Italian soundtracks, and its all in there in the songs, sometimes just a phrase, sometimes the whole conversation. The group has slimmed to a quartet now that John has gone. They’ve been writing a new set (four songs so far) and the sound is freer. There’s more of Marco’s Latin jazz air. The pulse beat rhythm behind. Matt leaves the drum stool in May for his OE in London. So there’ll be a new drummer. Then those long delayed live shows. 27 July 2004. 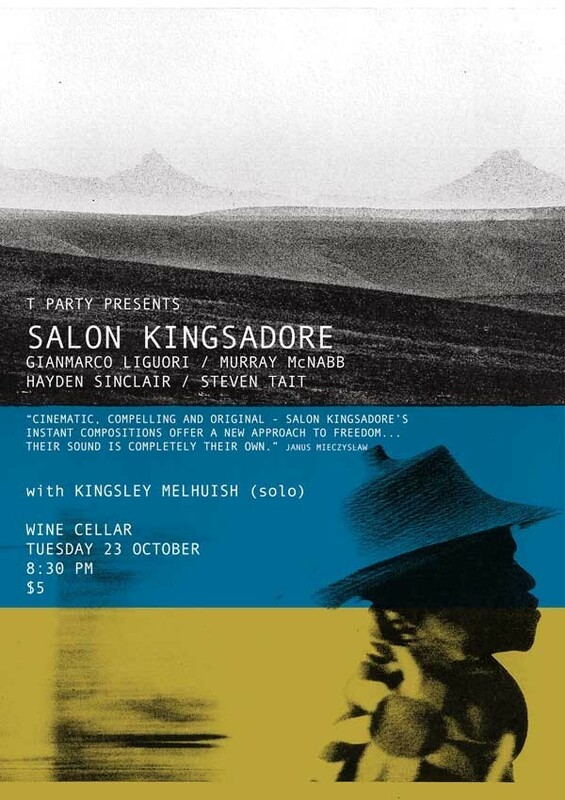 Salon Kingsadore are playing their first show after a period of reconstruction. It’s a low key outing for new drummer Chris Dawson with Marco, Billy, and Hayden in the top bar of The Rising Sun Tavern on K Rd. It’s a bar with lots of rock history. Tonight it’s hosting the first birthday party for Staple magazine, the best of the current crop of street magazines. I get there just on nine and find Salon Kingsadore in the shadows out to the side of the stage about to go on. The young twenties crowd are hanging back by the bar in a subdued knot, unable it seems to shake the chill wet winter. No such hesitation for the group. 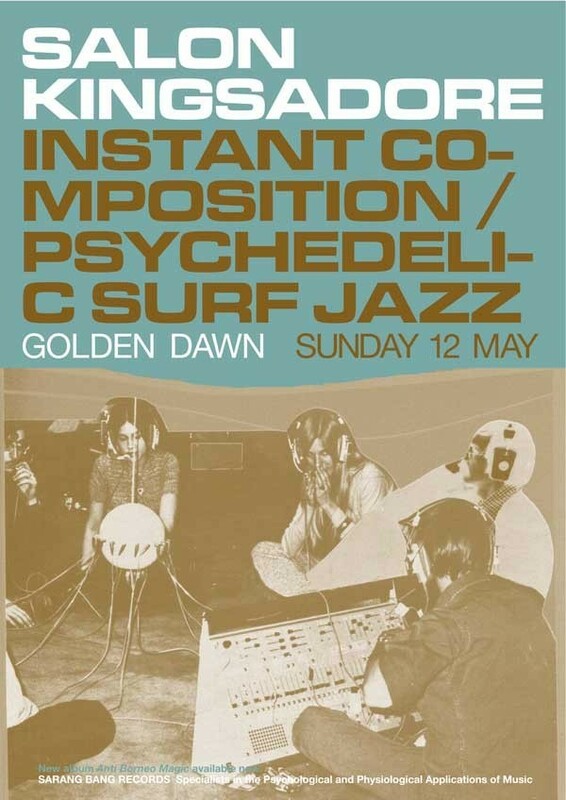 They’re straight into ‘Acapulco Gold’, a wiry angular strummer then some new songs and four tracks from the album – ‘Faces and Places’, ‘Baja 68’, ‘Romanced’ and ‘The Lost Chord’. The sound’s hard and robust, a huge change from the fragile orchestra of old. The psychedelic edge is still there, only now its being scrubbed out like a Latin David Kilgour playing ‘Point That Thing’. Two nights later Salon Kingsadore play Eden’s up the road to an amped crowd and get an encore. 3 September 2004. They build and build and build. A packed and wired Rakinos climbing higher and higher with them, peaking on a gilded plateau of scorching Latin guitar, garage soul organ, melodic driving bass and crisp sparse beat. There’s been a line out the door half the night the room’s so jammed. The bouncer letting them in only as someone leaves. The crowd are there as much by habit as for the group. A swarming chattering mass crammed into the bar and its balcony over High Street, stepping up the crystal staircase. 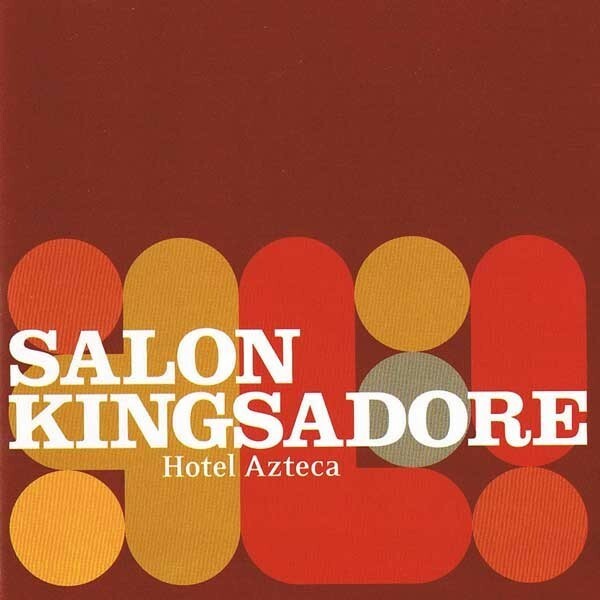 Hotel Azteca, Salon Kingsadore’s second album followed in November 2006, capturing the new group, with Chris Dawson on drums, in fine form on a collection of instrumentals that are less pop, but more adventurous and groove driven than before. Requests came in to use the music to soundtrack surfing films and documentaries with an offer to back a film. “I like to make music that goes with surfing because surfing is improvisation,” Liguori reasoned in April 2015. The first Gianmarco Liguori solo album also dropped in 2006 on Sarang Bang Records. 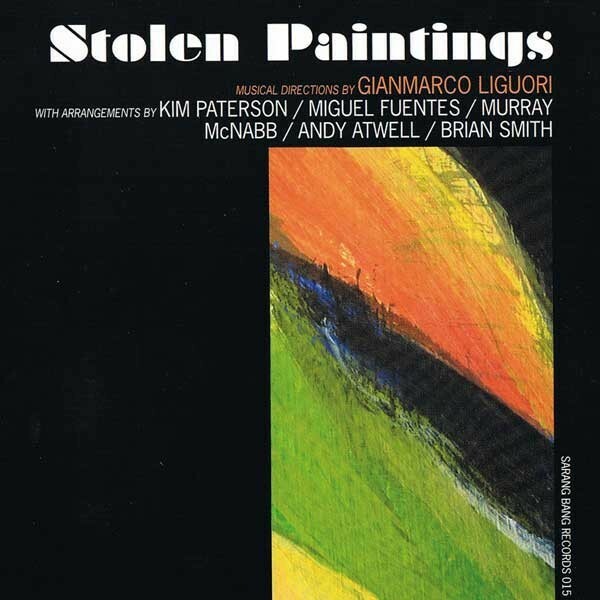 Stolen Paintings has an impressive line-up of locally resident jazz luminaries in Kim Paterson (Liguori’s former music teacher), Miguel Fuentes, Murray McNabb, Andy Atwill and Brian Smith. It’s a surprise, but a pleasant one, and sets the template for future solo recordings. 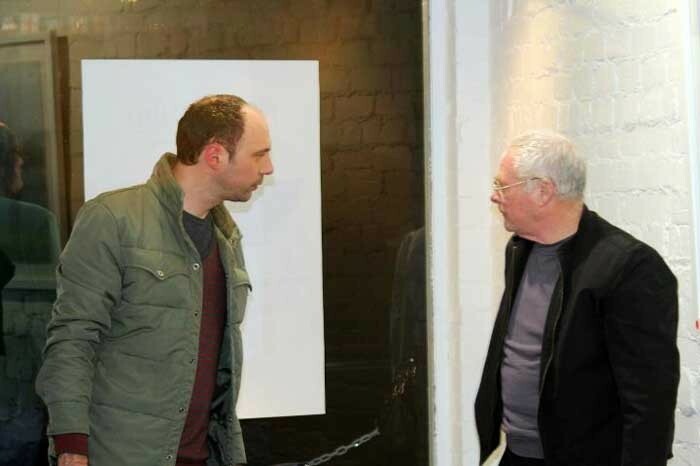 Murray McNabb in particular was intrigued and soon became a regular collaborator. Gianmarco Liguori, April 2015: “I’d seen Murray playing at the London Bar and he was always my favourite piano player up there because he would do things with an analog synthesiser. He’d be playing bass lines on a synthesiser with his left hand and playing the piano with his right hand and I always thought that was quite close to something I’d like to be working with. So I got in touch with him, it was probably through Kim, and I invited him to come to a session and do some stuff in the studio." 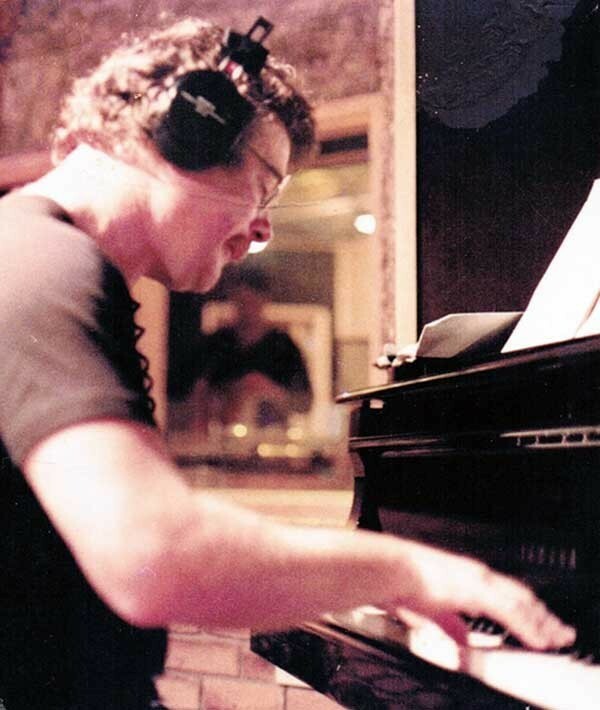 “So we went down in the control room and listened to the track and as it was playing he transcribed it and went in there and played something totally unplanned – he’d written out the changes for the piece that we were doing. In a way he was kind of recomposing the piece and eventually we stopped working on anything pre-planned. 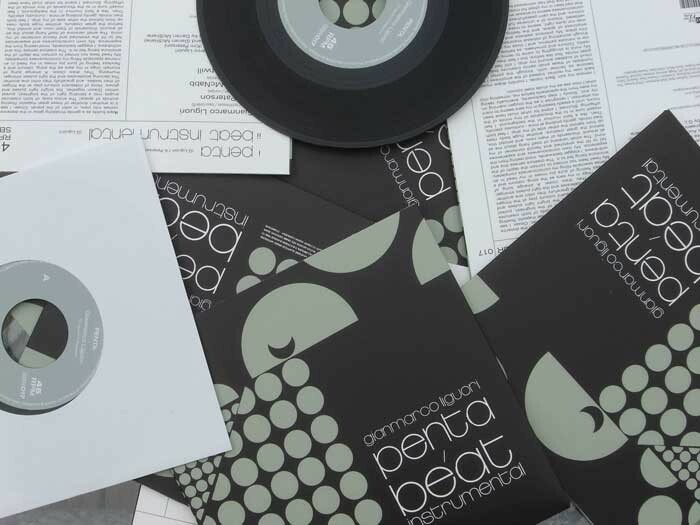 McNabb, Liguori and Paterson played out together first at Conch Records on Ponsonby Road following the release of the second solo album Ancient Flight Text in March 2009 and a vinyl single of album track ‘Penta’ b/w ‘Beat Instrumental’. “The first song is all over the place, but by the second they find their centre,” I wrote shortly afterward for the Mysterex online blog. “I close my eyes to listen, but there’s so much going on I just have to look. Miguel Fuentes is shaking the llama bones and together with Kim Paterson is drumming up a fearsome groove with Marco adding runs on the guitar, as Murray McNabb colours and provokes, dropping hooks in with ease." Salon Kingsadore’s third album, Mountain Rescue, upped the pace in early 2010 and was the last record Billy Squire appeared on. He was about to head home to the US. Drawing on the group of musicians he’s long been associated with, Marco added an album from Hayden Sinclair and new drummer Steven Tait’s Dunedin group Spa and eventually their follow-up effort, Spells For Travelling Forth By Day, to the label. 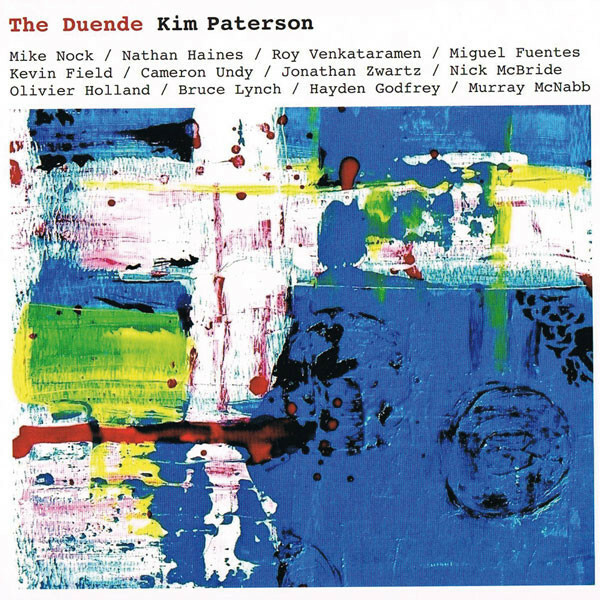 Kim Paterson’s second album The Duende appeared on Sarang Bang in May 2012. Darren McShane (Chainsaw Masochist, Figure 60), whose Earwig Studios have recorded much of the Sarang Bang catalogue also has his recent projects Surrealistic and Superturtle on the label’s distribution list, as does Billy Squire and The Rye. Then there’s the memorable live performance on Finlay McDonald’s Talk Talk, jacked up by Julien Dyne and featuring Liguori, Paterson, McNabb and Fuentes with a string section directed by Victoria Kelly (McNabb wrote the arrangements). The show’s guest that day, Dr Peter Gluckman, had wanted some jazz and that’s what he got in ‘Beat Instrumental’. 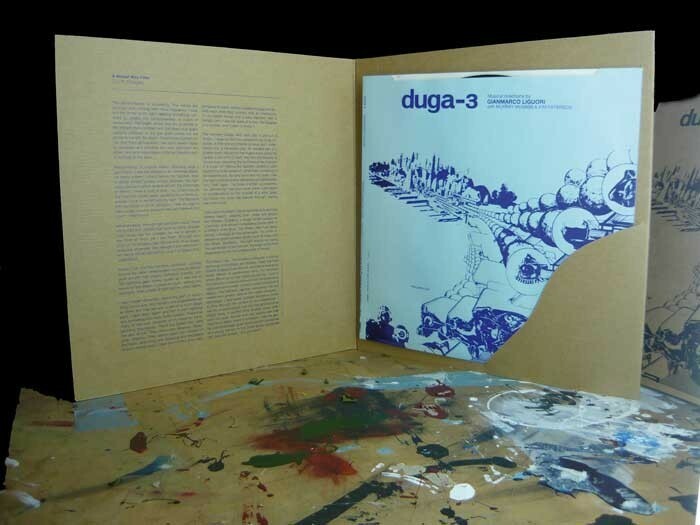 It’s hard finding the right words to describe Duga3, the musically confronting 2011 Gianmarco Liguori LP with Murray McNabb and Kim Paterson. “By the time, we got to Duga3,” Liguori said in April 2015, “it was much more collaborative than the earlier ones, because on the earlier ones, it was mostly tunes, a lot of that was more preconceived. 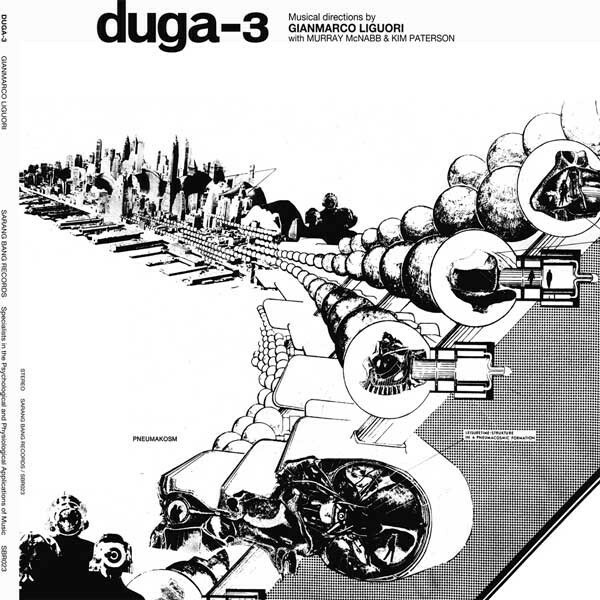 Duga3 was more spontaneous and the tracks were built up from more atmospheric things like field recordings. It materialised a bit more organically." Duga 3: Gianmarco Liguori with Murray McNabb and Kim Paterson. 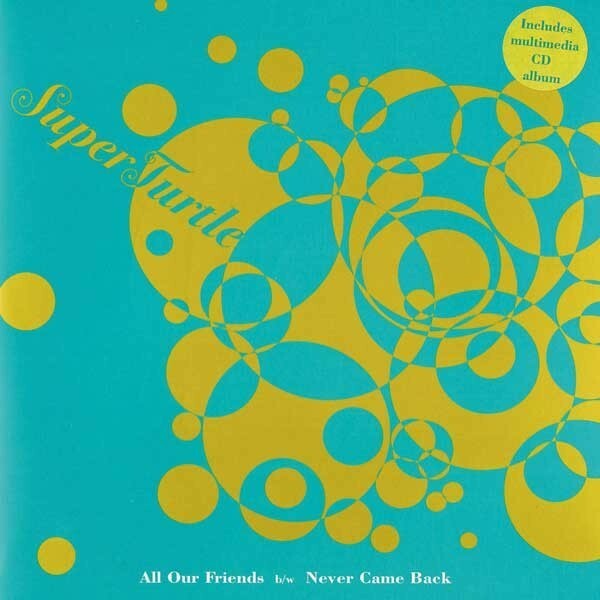 Released in February 2012 on 12-inch vinyl. There’s quite a story behind the album’s screen-printed cover. Liguori, influenced by European art and design, was now firmly in charge of the cover design after Greg Hodgson relocated overseas following the third Salon Kingsadore record. “So I tracked down the guy who did it, Zamp Kelp, who was a theoretical architect based in Berlin. He did a lot of stuff in the sixties. He did these inflatable living units that grew out of existing structures. He designed the Neanderthal Museum. All Kelp wanted in return was a couple of copies of the record. Murray McNabb soon became a regular at Salon Kingsadore practices. The 2013 double CD Anti-Borneo Magic is a sprawling collection of improvisational jams recorded in 2012 by Sinclair, making for a captivating listening experience. 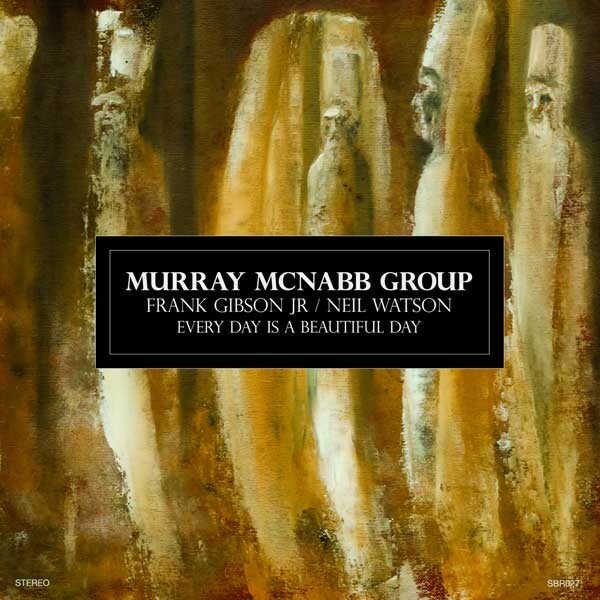 A year later, the brilliant final Murray McNabb album recorded with Frank Gibson Jr and Neil Watson, Everyday Is A Beautiful Day, proved a fitting farewell for the jazz great, who died 9 June 2013. The Murray McNabb Group's Every Day Is A Beautiful Day. 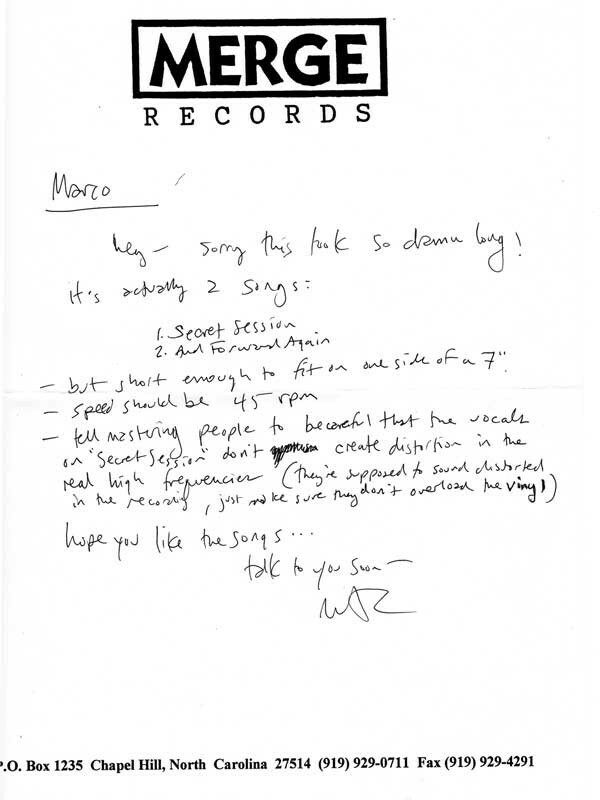 Issued in January 2014, it was Murray's final recording session. The LP gained good exposure in Australia where ABC Radio played it. In an era where the internet facilitated reach of music is longer, Sarang Bang found good support overseas, even becoming the New Zealand distributor for Bernard Stollman’s ESP-Disk for a time. Liguori, April 2015: “If I get played on the BBC [by Gilles Peterson] people will check out the record and the label and that’s a pretty big endorsement and audience. Mark Robinson locally on George FM and now in Australia where he has a show, is supportive. As is WFMU in New York. I got a call from Brian Turner out of the blue and he asked me to send him some stuff because he’d heard something on another show in the US. That’s how we promote our records. In the absence of a formal distribution deal we’ve just had to find other ways. It wasn’t a big step from releasing McNabb and Paterson to digging around in their past for prospective releases. With financial help from Creative NZ, Sarang Bang Records’ first truly archival release was the Bernie McGann’s 1966 LP with quintet and quartet performances that featured New Zealanders Andy Brown (bass) and Kim Paterson (trumpet). “Often the source music will just be on cassettes and that’s best we’ve got a lot of the time. It’s just a matter of going into the studio and sometimes it might just need a bit of EQing. I’ll do the best that I can from what’s available in the studio and master it for the release. I usually go to Earwig Studios because Darren McShane has got all the analog equipment and Darren and me have worked together for years. “If I could have I would have been doing archival releases a lot sooner. The Bernie McGann record, I’ve had that in the pipeline for well over 10 years now since I first heard the tape. I immediately thought, ‘people have got hear this,’ but I couldn’t get the money together and no distributors wanted to touch it when I was trying to put it together originally." 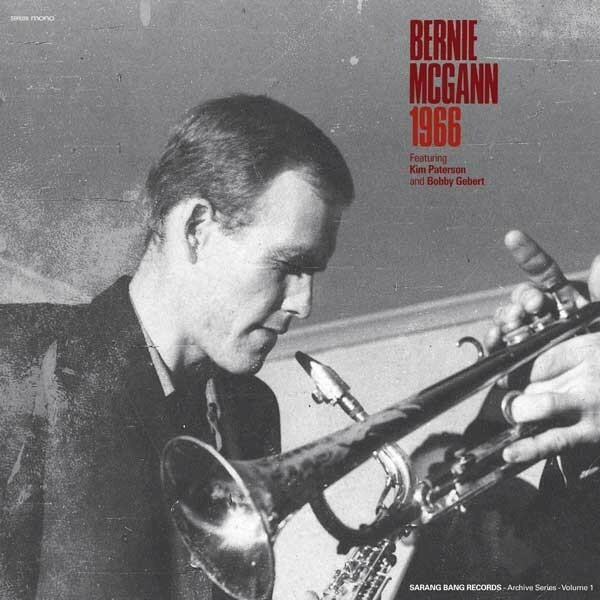 Australian saxophonist Bernie McGann with New Zealanders Kim Paterson and Andy Brown in previously unreleased recordings from 1966. Issued on double vinyl in November 2014. There’s also Ken Matsutani (Marble Sheep) with After The Rush, cued up as the next contemporary release for Sarang Bang (with Captain Trip Records). 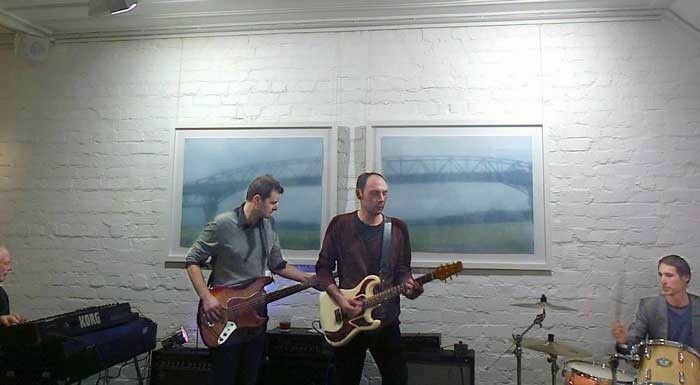 Meanwhile, Tom Ludvigson has joined the core Salon Kingsadore trio for live performances and practice room jams. And beyond that? “The adventure is not knowing. One thing leads to another,” says Gianmarco Liguori. As in music. As in life.